After digging out more sample photos from the upcoming Sony C650X Odin flagship today, we wandered around to see if any tester had posted benchmarks in addition to the ones that already appeared for Sony's quad-core 5-incher. Needless to say, the GLBenchmark database already houses preliminary tests from a Sony C6603 Yuga. Both variations seem to share the same specs - quad-core Snapdragon S4 Pro, 2GB of RAM, and a 5" 1920x1080 pixels display with eventually the brightness-boosting WhiteMagic technology of Sony. 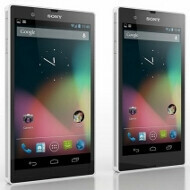 The main difference seems to be in dimensions and the rumor that the global Sony Yuga will be waterproof, whereas the market-specific Odin will feature an IR blaster to serve as a remote control, like in Sony Xperia Tablet S. The Odin is said to be in the hands of T-Mobile peeps here in the US, and they are allegedly toying with the idea to carry it. 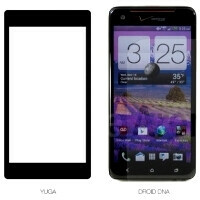 In addition, someone has gone through the trouble to make a collage based on the Yuga and Odin dimensions that leaked the other day, and our size comparison tool with the Samsung Galaxy S III and the HTC Droid DNA, to exhibit how compact the 5" Sony handsets will eventually be, despite the large display and the alleged Asahi Dragontrail glass chassis. We are putting the size comparison and the preliminary benchmarks below for your viewing pleasure, and to illustrate that if all rumors about the upcoming Sony Odin/Yuga 5" handsets hold water, they will give even some of the best Androids currently out there a run for their money, both design- and specs-wise. odin size iz remarkable !!!!! What??? In which way?? Bigger?? Smaller??? Wider?? For all i'm seeing...all of them are similar and not overly larger or smaller than the other! Its remarkable because its a 5" screen packaged in a frame that's even smaller than the s3...what this means is that we are getting bigger screens phone without the phone itself getting bigger which I think is great...it means I can hope the s4 rumoured to have a larger screen them the s3 will not get any bigger in the actual phone size. The best way (or the only way?) for Samsung put a larger screen on the S4 without growing the unit, is giving up the physical buttons and adopting the standard Nexus of virtual buttons. Motorola, LG and Sony already adopted. In the Major League, just missing the HTC and Samsung. Honestly I hope Samsung don't get rid of the home button and I that many people like the Samsung devices due to the home button well I do anyways...am looking at my s3 right now and there is plenty of bezel available even with a home button for a larger screen. "...but in reality it's not going to be so, its scren will be bigger than what shown and hence even the body" It is also only your speculation. "screen estate is going to be almost equal, given the sony flagship uses on screen keys" But when you are watching video, photos or playing games virtual keys will hide. i haven't used any device with on-screen keys, so can't really comment much on the second point but anyone can tell that the first point isn't just my speculation and if the onscreen keys DO disappear, then how do you return to the home-screen? double tap on screen? does the video size reduce as soon as we do that? what about a game? i will constantly using/touching the screen then, no? Daniel...i'm seeing SII not SIII. Besides that...i have to go for DNA here...it's awesome! The 4th one is SGS3. Haha...i'm not that blind man! The picture is SIII but what's written below is SII. That's what i said!! :) Keen eyes! lol! Sure we do :) I can't post links yet, but search online and you'll find leaked pics of Yuga, front and back, and with the display on. 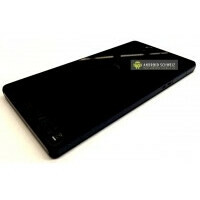 by the time yuga or odin are release samsung galaxy s4 would already be in the market and it will also have a 5" screen. Even if it does, that doesn't mean it'll be able to topple Odin/Yuga. Sony seems to be going for the gold with these phones. They'll have dragontrail glass on the front and back, plus a shatterproof sheet on both. This will give it a very premium look and feel, while making it very durable - far moreso than the iPhone 4 with its glass back. If you want to see dragontrail glass in action, go to Youtube and look up the Xperia Active. One of the first videos has a guy going to town on the screen with various tools and it shows just how amazing this material is. Aside from the dragontrail glass, Yuga will be water and dust resistant, and Odin will have an IR blaster ala the Sony tablets so you can control all your AV equipment and whatnot with it. Plus also remember Sony is apparently working on a 6" phablet for the first half of 2013, so there's still more to come. sony go! sony go! sony go! go sony! go sony! go sony!